The Bristol based architectural practice Willmore Iles Architects had issues with the speech clarity and reverberation in one of their meeting rooms and contacted AcousticPods for assistance to improve this situation. 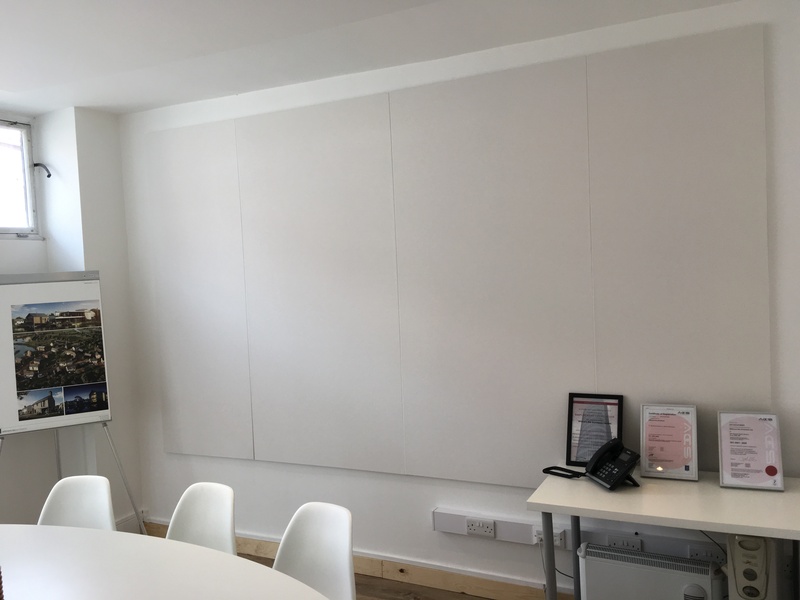 Andy from AcousticPods was able to view the current set-up of the meeting room and discuss the issues that the client was facing. 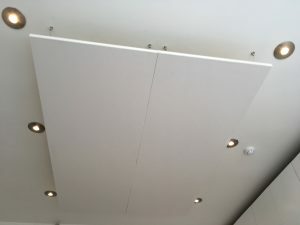 He quickly determined the acoustic reflective nature of the walls and ceiling were having an affect of the speech intelligibility within the room. He calculated the area coverage that would be required to improve the issue and advised the client on the most suitable acoustic products. 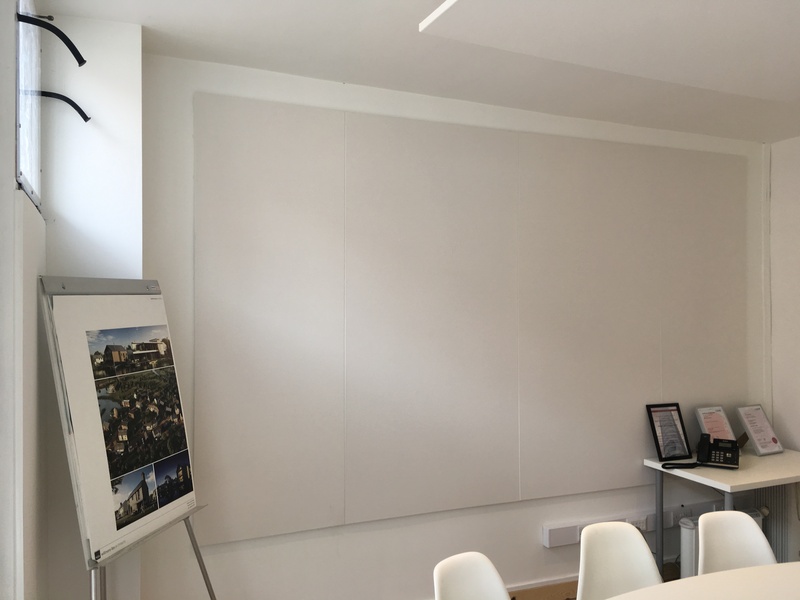 Wall mounted acoustic absorption panels were recommended to provide the necessary improvement in “noise echo” within the meeting space. These combined with the suggested suspended acoustic rafts would allow for an improvement in the acoustics of the meeting room environment. 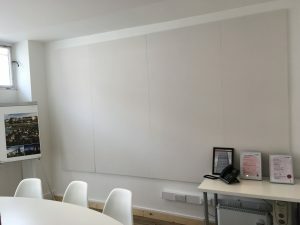 It was also important that the noise solution was very discreet and carried through the subdued decorative nature of the meeting space.